Born and raised in North Wales, based in Marbella, Spain. Peet Rothwell is a prominent international singer known for performing Michael Buble in Costa del Sol, Fitness columnist, PT and Men's Physique competitor. 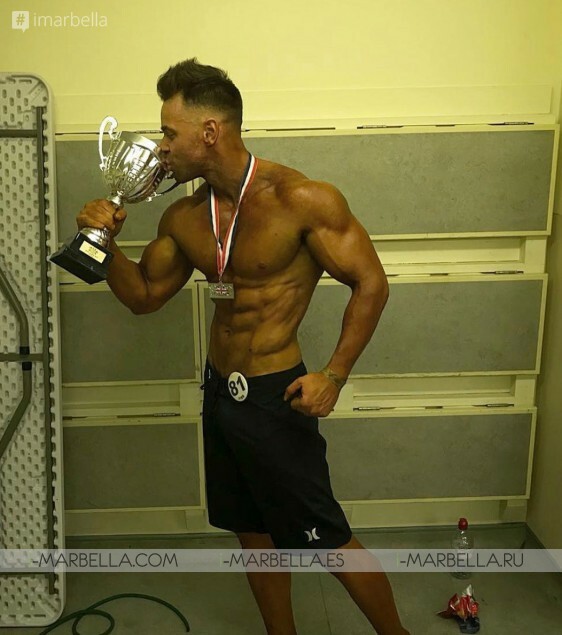 Dear readers, we are happy to introduce you to our exclusive interview with Peet Rothwell, someone who is recognized for being a famous singer in Marbella, performing live shows mostly as Michael Buble and that has recently turned into a fitness-champ holding a UKBFF title and an inspirational bodybuilder. 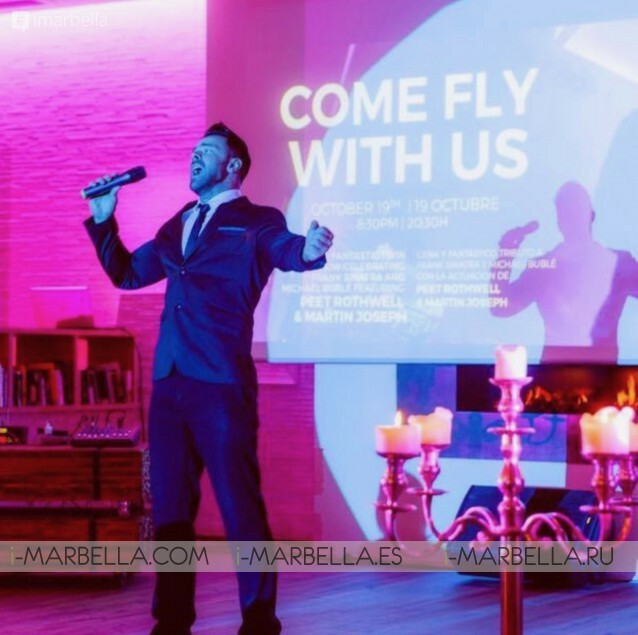 Peet Rothwell is a well-known face in Marbella, he has been here for more than 10 years now. 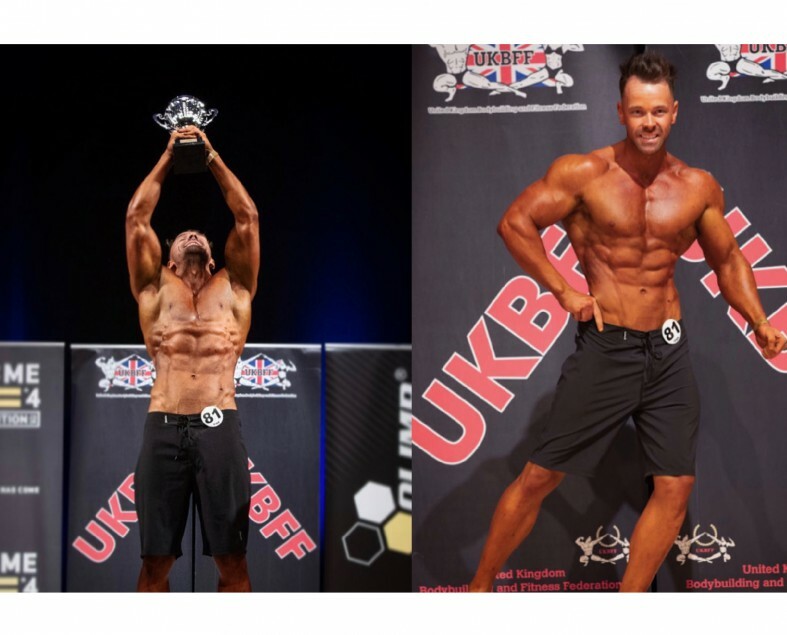 Congratulations on winning the UKBFF 2018 trophy! Would you like to share with us more how did you get to be the champ? Thanks so much. Has been a long road. I started this journey in 2015 and just wanted to test myself. Watched a competition and just declared I would do it next year. Everyone laughed haha. And here we are all this time and competitions later and I finally bagged a top spot. It felt amazing! What does this UKBFF title mean to you? This particular show symbolizes my comeback in life. I was in a very bad place financially, mentally and physically at the start of the year. Rock bottom as they say. I looked in the mirror one day and promised to turn it around. The 1st instinct was to pick a competition and declare I'm doing it. The discipline and focus for that brought everything else in life into place and I'm back on top now. And feeling the best ever on all fronts. How long have you been working out to get to this point now? Well, it's been a progression, it started with a gym membership and quit drinking, then a challenge to do one show, then the mission became to place top 3 etc etc. It's a sacrifice as people say but I love it I really do!! I joined the gym lets say 5 years ago. Was my "turning 30" thing haha. But I'd say seriously educating and training towards this since 2015. My fitness goals aside from competing is to stay healthy and in shape and have a nice achievable physique that's maintainable (i don't want to walk around shredded, is just for the sport) into my 40's and 50's. Health is key. Are you still in the music industry performing as Michael Buble ? or are you fully dedicated to fitness now. Very much still in the music Industry. Alongside the competition preps and Personal Training, I have had my busiest summer yet. Planning some big things with the full Bigband show for next year. An average day would be up for clients early, train in between, spend time with my Huskies. And then usually run to perform somewhere. Pretty hectic to be fair. Beats being bored!! Best advice would just start now, not tomorrow, not Monday. It's a long long road to look into but the sooner you get going the sooner you WILL be there. If you want it enough!! And his hard work and dedication finally paid off. 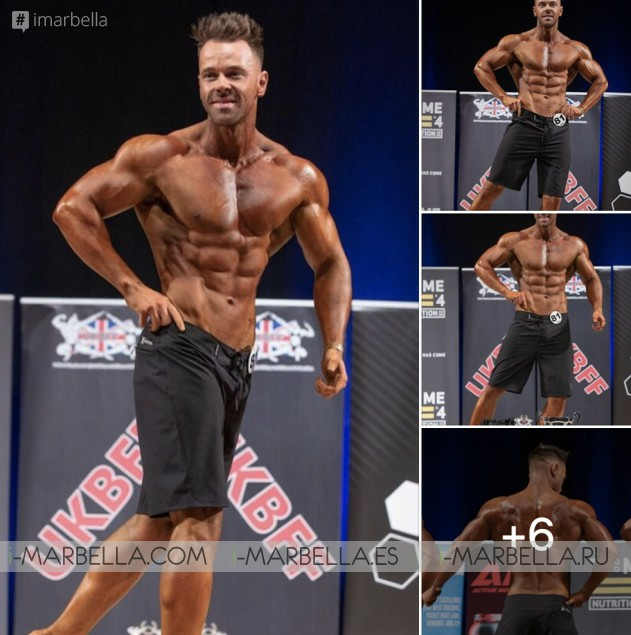 Peet was the UKBFF United Kingdom Bodybuilding and Fitness Federation Champion in 2018 Men's Physique over 179cm. Sharing on FB, "It's a long climb to the very top. 4 years of hard work and I've made it to base camp. I'll keep pushing till I reach the summit. And I'm not climbing a hill, I'm scaling a fooking Volcano" Peet Rothwell. 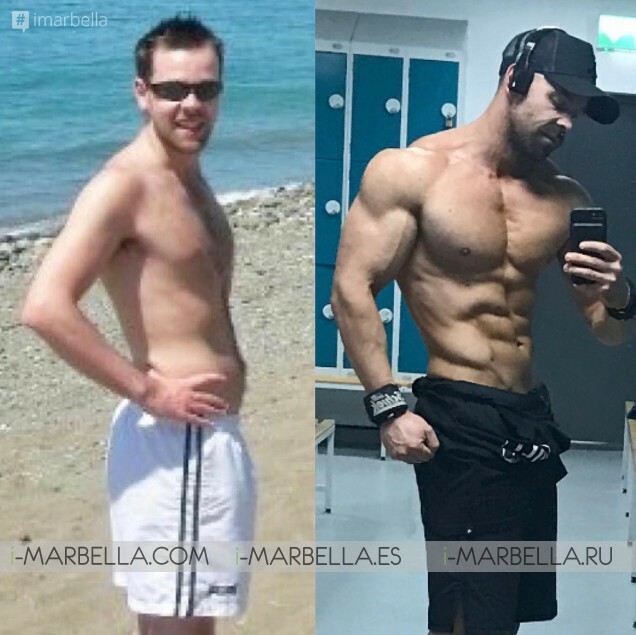 He first joined the Gym in 2013, in this 1st photo is when he moved out to Spain more than 10 years ago. He explained that at the beginning for him it was difficult to even no wear a shirt in the pool, he had in the past body conscious problems and felt down with how he looked. so it took him a long time to get the guts to start a journey to finally achieve how he looks now. He found in the sport a passion for something that gives him a life and purpose. A lot more than any person could! He's very open about his journey when he feels it can help others. So if you have any questions or need any advice or want to know about the stages for bodybuilding, don't hesitate to get in touch with him! A big thank you for giving us from your busy schedule some time for our readers to know more about you and congrats on your new title! Follow him on Facebook and Instagram for more fitness and life coaching tips!